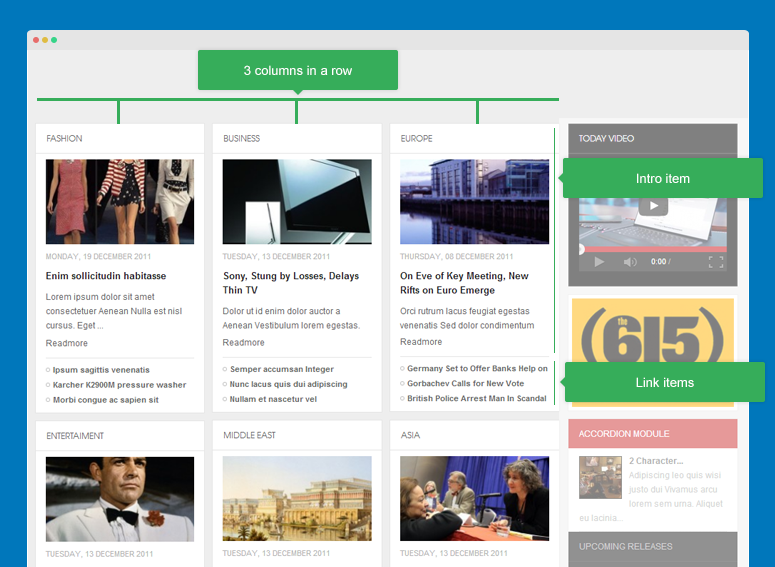 Check out THIS LINK to download JA News Pro module. Go to your Joomla back-end system, go to: Extensions >> Extension manager. 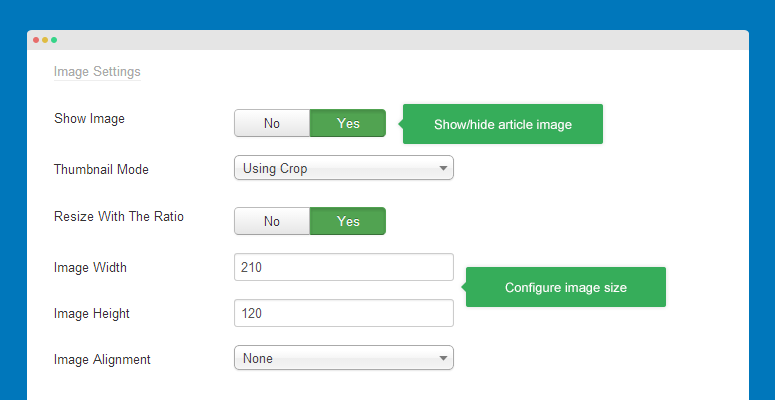 In the panel, browse JA News Pro module installation package then hit Upload and Install. 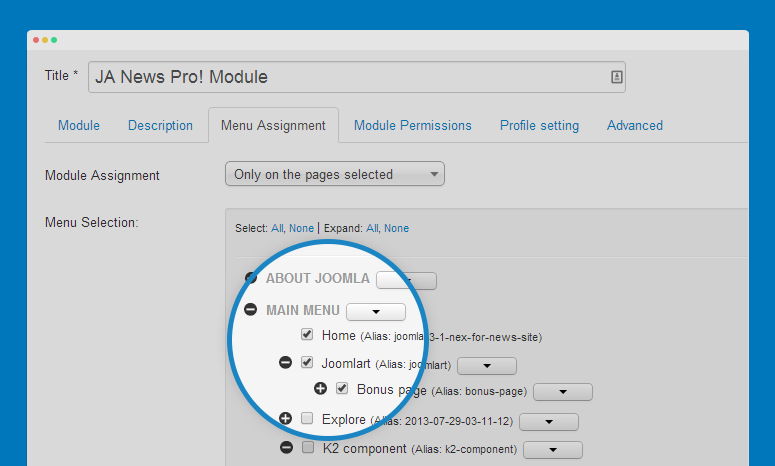 To display the module in front-page, you have to publish the module, assign to a position that is active in your template. 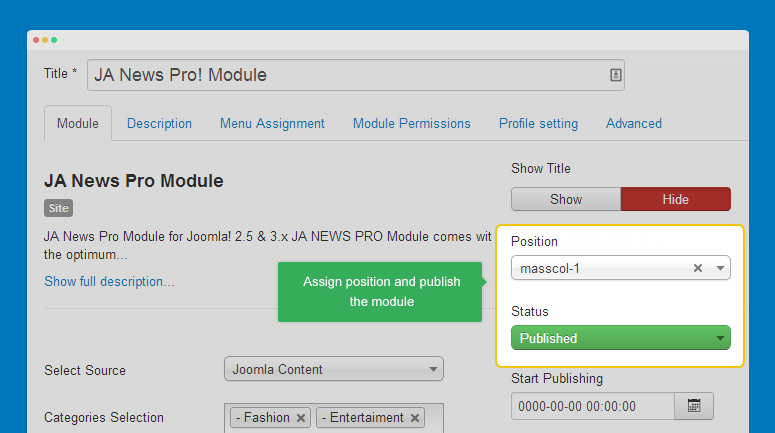 JA News Pro supports 2 content sources: Joomla or K2. Select content source then add categories that you want to display content from. Display featured articles: display featured articles or not or only show featured articles. 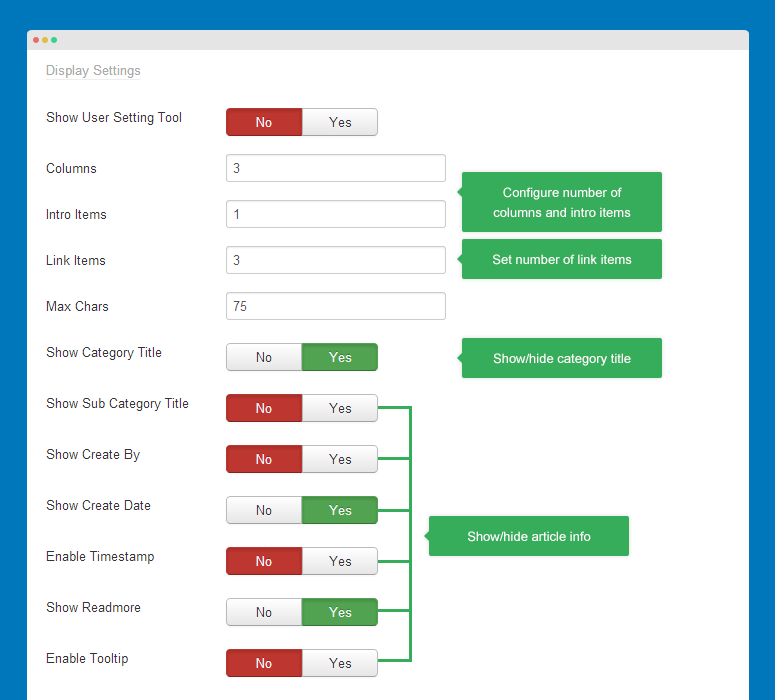 The module supports multiple profiles, each profile has different settings and it's assigned to one theme. Each JA Template that supports the module by default has its own profile. If your template is not one of those templates support the module by default, you can select default profile or you can customize any profile to fit your template. You can create new profile and new theme. 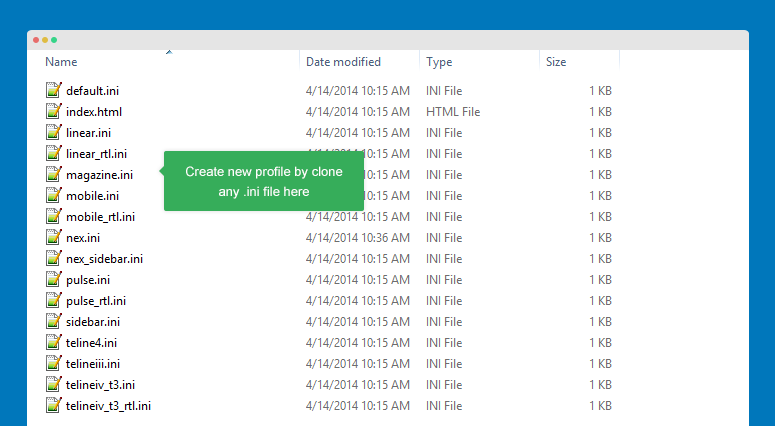 To create new profile, open folder modules/mod_janewspro/profiles then add a new .ini by clone a new pfofile file. You can see how the profile is configured. You can create theme by clone any theme folder, rename and customize. Link items: number of link items in each category block. Enable timestamp: show/hide article timestamp such as "3 days ago"
Enable tooltip: show/hide tooltip when you hover a link item, the tooltip includes article title, image and intro text. You can customize the module style by adding Module class suffix or the module .css file. You can add class with style you want for the module in any .css file in your template css folder then add the class to the field Module Class Suffix in the Advanced tab of JA Acorrdion module. In your site folder, open file style.css in folder: modules/mod_janewspro/assets/css then customize style of the module as you expect.